Just days after he was shot during an attempted carjacking, the victim speaks out. 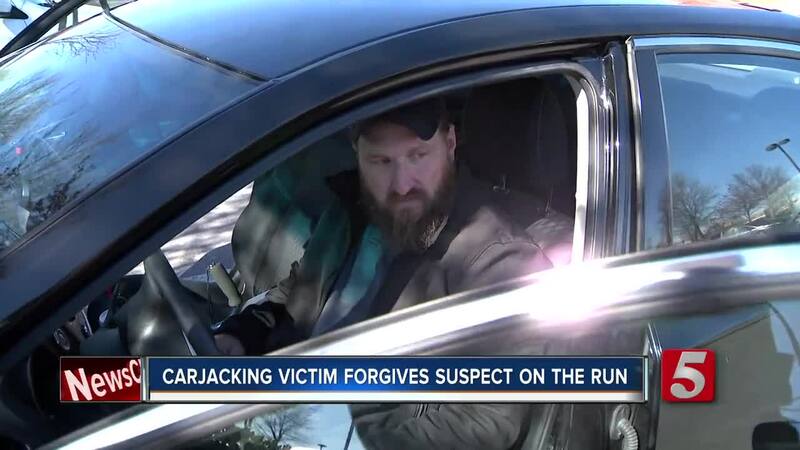 NASHVILLE, Tenn. (WTVF) — Just days after he was shot during an attempted carjacking, the victim speaks out. Brian Redden spoke with NewsChannel 5 about the crime and the suspect who is still on the run. The bullet, fired at point blank, missed Redden's vital organs by just inches. Now he's at home and recovering after emergency surgery. The first thing you notice about Redden is an incredible calm. Maybe it's a by-product of surviving a close call with death. But, this is a man who says he won't live in fear. "What happened, happened. I survived," said Redden. The 31-year-old said he's getting on with his life. "Something like this happens to you, there's two things you can do -- go into a hole and hide or you can be out and I chose not to live in fear," said Redden. Metro police say 16-year-old David Mays shot Redden during a carjacking attempt at the Exxon station near Nissan Stadium last Wednesday. "People have asked or said 'Why didn't you give up the keys?'" Redden said he initially did not see the gun and just reacted in the moment trying to close the car door. That's when police say Mays fired a handgun at pointblank. A single round entered Redden's abdomen and then traveled through his body. "Here. Here. Here. And the bullet ended up lodging in the leg," said Redden pointing to various places on his body. He's grateful for the quick response. From folks at the Exxon to police to paramedics, all who saved his life. "Those are our heroes. Those people." As for Mays, the suspect accused of shooting Redden? "A lot of those around me are angry about what happened. I'm not," said Redden. He said he isn't looking to place blame for what happened but he does want Mays caught. "As far as him the person, I forgive him for what he did," said Redden. But Redden believes Mays should have to pay the consequences for what police say happened.